Do you want to take a break from the stress of your everyday life or are you looking for a warm place to flee winter? This trip to St. Lucia is exactly what you need. Focusing on spending time in nature and taking care of yourself, the activities included aim at rejuvenating your body and mind, while enabling you to discover the beauty of this island. For the perfect tropical escape, you will stay in a private villa with its own pool at the Stonefield Resort. Surrounded by lush rainforest, the Pitons, and the Caribbean sea, it offers breathtaking views and a connection to nature. You will be picked up at the airport and driven to the resort. After checking into your villa, head directly to the spa. Your journey towards your best self-starts with a hot stone massage, to ease muscle stiffness from your flight. You can then plunge into your pool and start to realize that you have arrived in paradise. Welcome to St. Lucia! Recover from the jetlag or the stress of traveling by following a yoga class with a certified instructor. Stonefield Resort has an indoor yoga studio and an outdoor yoga deck, offering views of the Caribbean Sea and the rainforest. Enjoy a tropical breakfast by your private pool, then take the free shuttle to the beautiful Sugar Beach. You can spend the afternoon either snorkeling in the marine reserve or relaxing on a sun lounger, enjoying the (imported) white sand and the view on the Pitons. Its perfect location (between the two Pitons) make it one of the most scenic beaches of the island. Start your second day with a refreshing swim in Anse Chastanet. This black sand beach is a very famous spot for snorkeling in St. Lucia, where you will see many species of fish and corals only a few meters away from the shore. Jungle biking is also an option at Anse Mamin, a few minutes walk away from Anse Chastanet. The trails will take you through an ancient plantation with tropical vegetation and historical remains. You will probably feel hungry at this point. Grab a local lunch in the picturesque town of Soufrière, then visit Diamond Falls and botanical gardens for a digestive walk in nature. The waterfall is the most colorful of the Caribbean, thanks to the presence of minerals such as sulphur and copper sulphate in its waters. After seeing the Pitons from your villa or the beach, it is now time to get closer. Get up early, take a hearty breakfast, pack some water and hike Gros Piton. The climb is intense but the view is so rewarding! At the top, you will see all the South of the island on one side and Petit Piton on the other side. Tet Paul trail is also an option for beginners or people who don’t feel like hiking for 4 hours but still want to enjoy the view. A short walk will take you to a viewpoint in the middle of the two Pitons. Back to your hotel, relax your exhausted legs with a well-deserved Piton climb muscles ease massage. If your muscles are still sore, the hot waters of the Sulphur Springs will do wonders. Make sure to go there in the morning when it’s not too hot and too crowded by tourists. A guide will explain everything you need to know about the volcano before you take your mud bath. Once you are clean and refreshed, go down to Morne Coubaril for their creole buffet, then spend the afternoon zip lining, horseback riding or simply visiting the plantation. You will learn how the cocoa beans are processed into the local cocoa stick, taste local fruits and discover the different uses of medicinal plants from their garden. For dinner, head to the Boucan restaurant at Hotel Chocolat, to enjoy a chocolate-themed meal with amazing views on the Pitons. You cannot leave St. Lucia without seeing the North of the island. Start by visiting Castries Central Market to smell the tropical fruits, spices and delicious local cuisine. You can also buy souvenirs to bring home such as spiced rhum, cocoa sticks or sulphur soaps. Then continue further North and discover St. Lucia’s tumultuous past at Pigeon Island National Landmark. You will see ruins of military buildings used during the war between the French and the British. A short hike will reward you with a panoramic view on the Northwest coastline, and you can even see Martinique if the weather is clear. Spend the rest of the afternoon relaxing on the beach, then take a walk in Rodney Bay and choose where to dine between local, French, Asian or Indian cuisine. If you have enough time before your flight, enjoy the last massage of your choice to prepare your body for the long journey home. You will then be driven back to the airport. 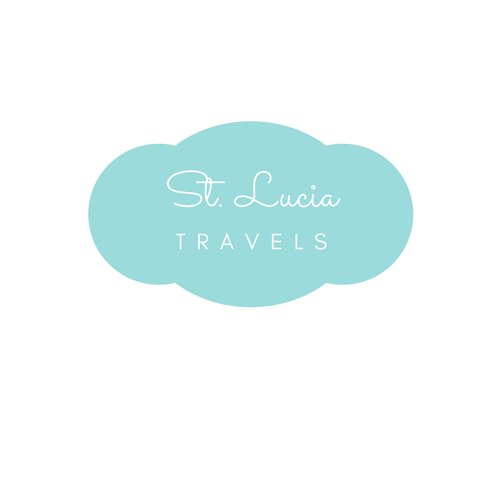 This post was all about how you and where you can spend a relaxing 5 days in St. Lucia. I hope you enjoy your stay on our beautiful island and take the tips that were given. Please feel free to let me know what you think and what you did decide to do on your time in St. Lucia.